Developed specifically to meet the unique needs of health care providers, the Zebra HC100 Wristband Patient I.D. Solution makes wristband printing easier and more cost-effective than laser solutions. 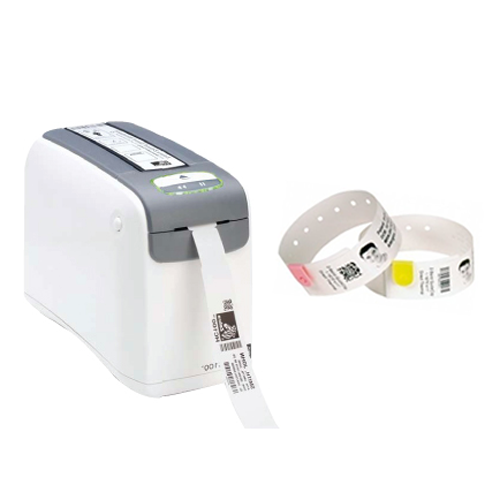 This solution combines the reliable HC100 Wristband direct thermal printer with easy-to-load cartridges containing the industry's only antimicrobial-coated wristbands - Zebra's Z-Band wristbands. Minimal training! Pop the wristband cartridge into the Zebra HC100 Wristband printer - print individual wristbands on demand. Compare these two simple steps with laser printing, which often requires staff to load forms into a special tray, print labels, apply a label to the band, and fold a laminate over the band. 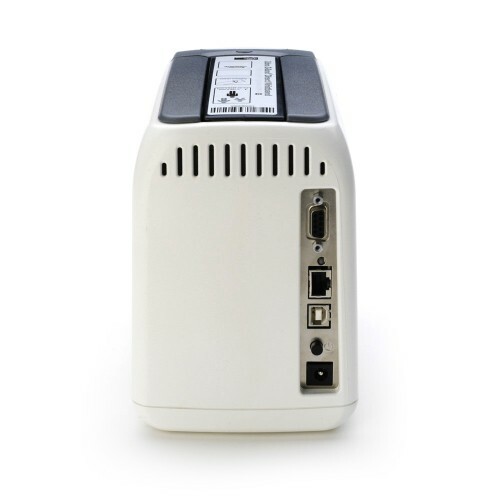 Zebra HC100, 2" Direct thermal Wristband Desktop, 300 DPI, ZPL Ii And Xml, Standard flash 8Mb/16Mb Sdram. 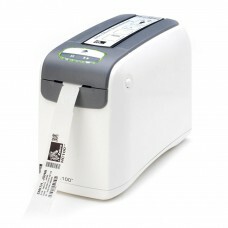 Tags: Zebra HC100, 2" Direct thermal Wristband Desktop, 300 DPI, ZPL Ii And Xml, Standard flash 8Mb/16Mb Sdram.